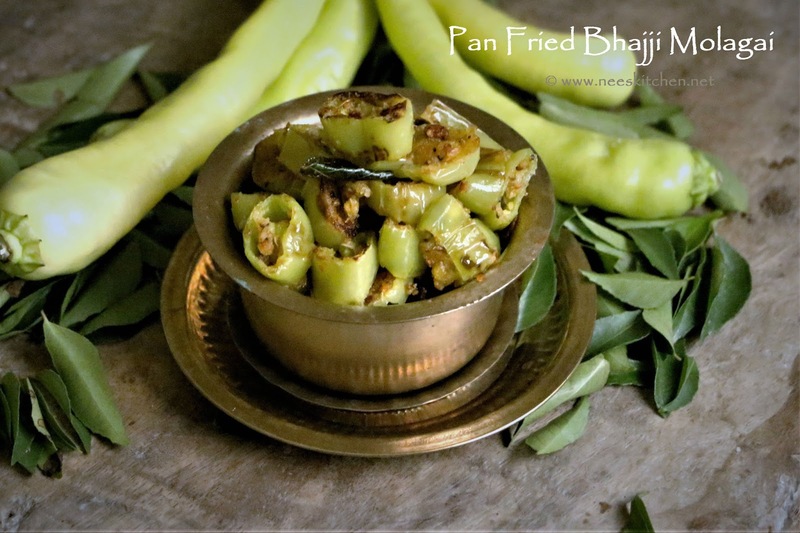 Pan Fry Bhajji Milagai or Italian Pepper Fry is an excellent appetizer for those who have spicy taste buds. 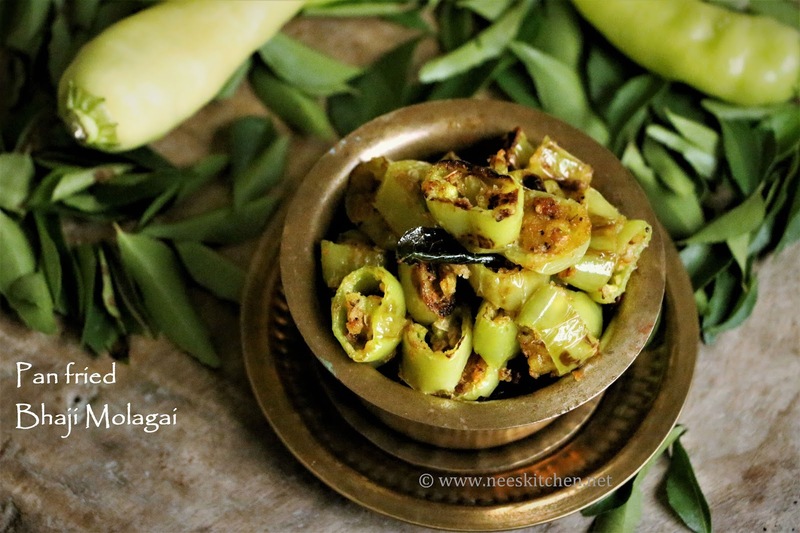 It is very easy to make this dish and tastes best when served with a hot cup of masala tea. 1. To begin making the ‘Bhaji milagai fry | Italian Pepper’ , cut the Italian peppers into ½ inch slices. 2. Combine sliced Italian peppers, carom seeds, besan flour, rice flour, salt. Sprinkle little water to bind all of them. 3. Allow this mix to marinate for 30 minutes by covering with a cling wrap. 4. After 30 minutes, take a non-stick pan and on medium flame add oil and once it is hot add the marinated ingredients. 5. Pan Fry until they are cooked evenly. 6. Transfer to a serving bowl and serve them hot with a cup of masala chai.